You are one great chalk artist! Simply stunning! 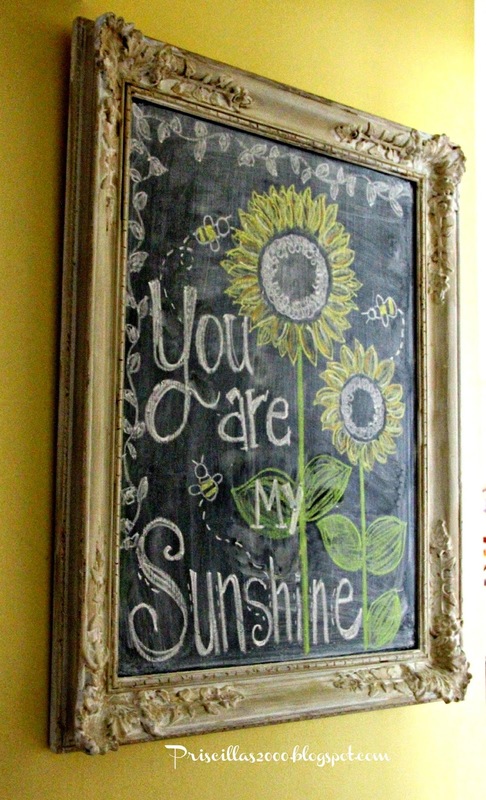 What a great idea, and your August chalk design is beautiful! 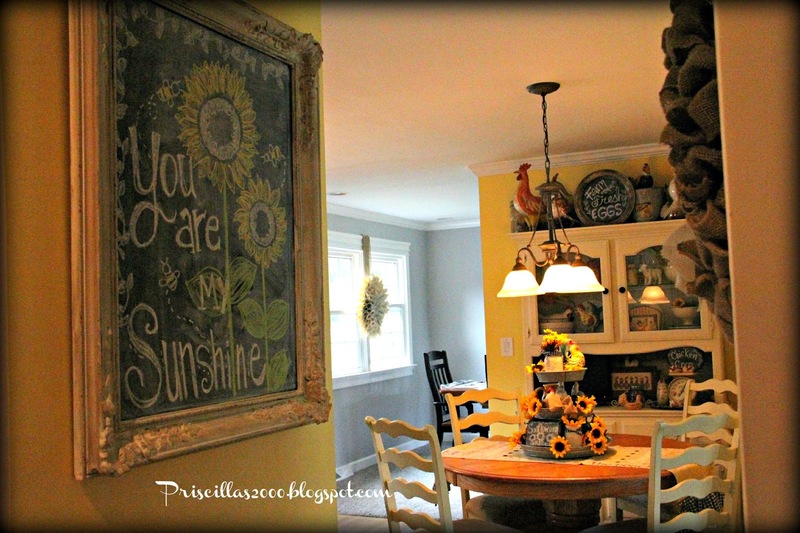 Your colored chalk drawing looks great--especially in your yellow kitchen! love your chalkboard sign. you could use it all year long. love love love it!! love the frame and love the artwork!! Very Cute, You did a beautiful job. That would make me smile each time I looked at it! So cute! I love the colored chalk. My chalkboard is empty right now. Cleaned it and have been waiting for inspiration to come. You might just be it my friend! lol! Thanks for sharing with SYC. 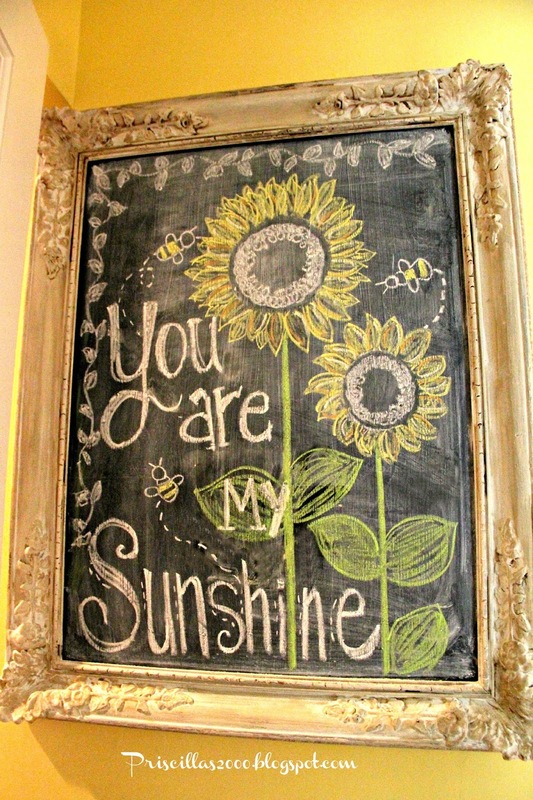 I L O V E Sunflowers. . .so~o~o I'm standing in awe of your chalkboard art!!! The colored chalk has me swooning!!! "Mr. Ed" is the chalk "artisit" in our family. . .but everyone tells me I have beautiful handwriting!!! 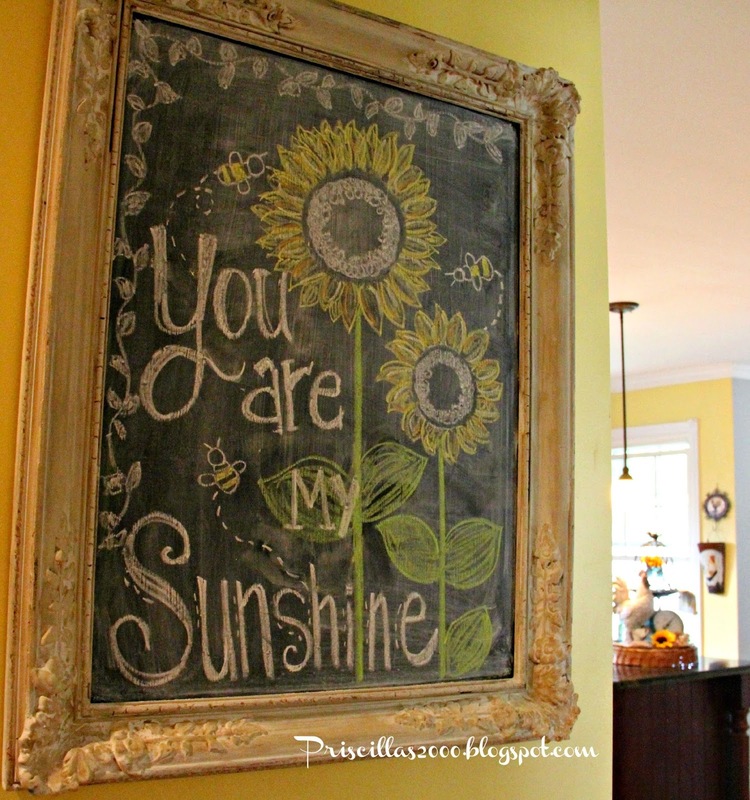 Priscilla, as always your chalkboard is amazing, and your garden flowers from your previous posts are beautiful. Forgive me for not commenting recently, so much to do, so little time!!!! but I've caught up on your posts now and will get back into the swing of reading and commenting. Very pretty, Priscilla! Love the colored chalk. 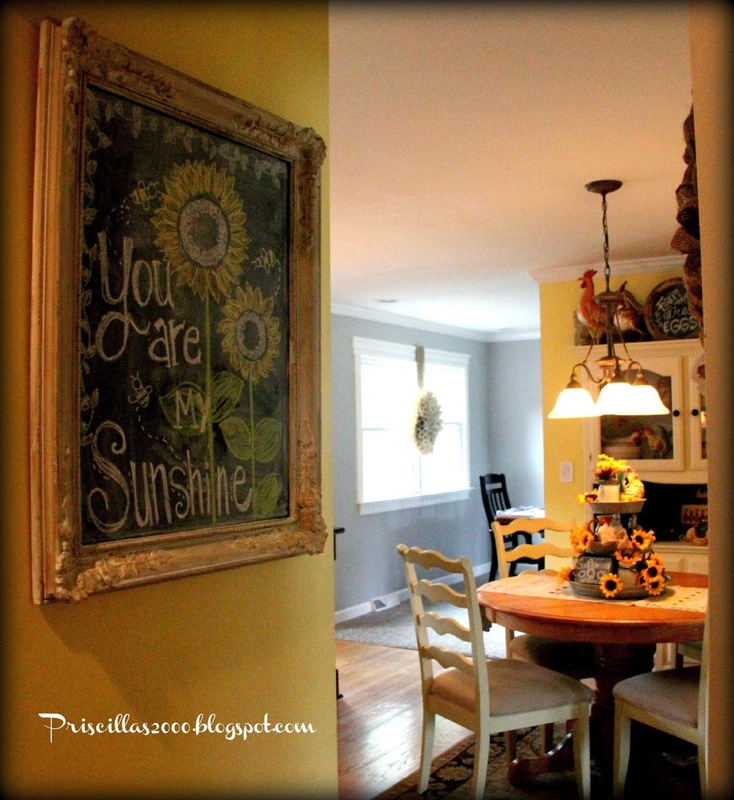 I love chalkboards and this one is a beauty! Happy to feature you this morning. Thanks so much for sharing! I love your chalkboard it made me smile so big and remember how I loved to sing that song as a young girl, thank you for the memories!